MANILA - The Philippines has emerged as one of the happiest countries in the world, according to a global survey by US-based firm Gallup International. Gallup’s 41st Annual Global End of Year Survey shows the Philippines ranking 3rd happiest country in the world, with a net score of +84. Fiji was the happiest country in the world, getting a score of +92, followed by Colombia with +87. Completing the top 10 are Mexico (+82), Vietnam (+77), Kazakhstan (+74), Papua New Guinea (+74), Indonesia (+68), India (+64), and Argentina and the Netherlands (+64). Iran, meanwhile, was the unhappiest country in the world with a net score of +5. 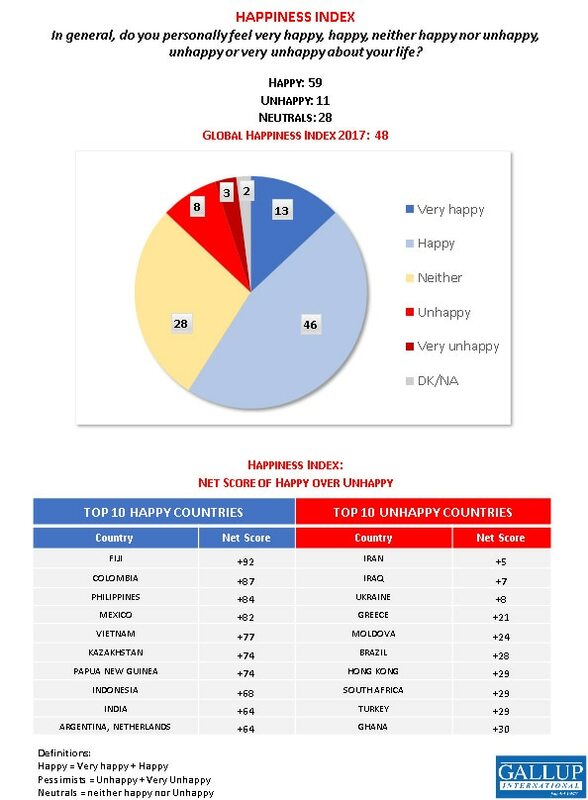 According to the survey, 86 percent of Filipinos said they were happy, 2 percent unhappy, and 10 percent were neutral, resulting in a net score of +84. Malacañang welcomed the result of the survey, saying it shows Filipino resiliency despite adversities. 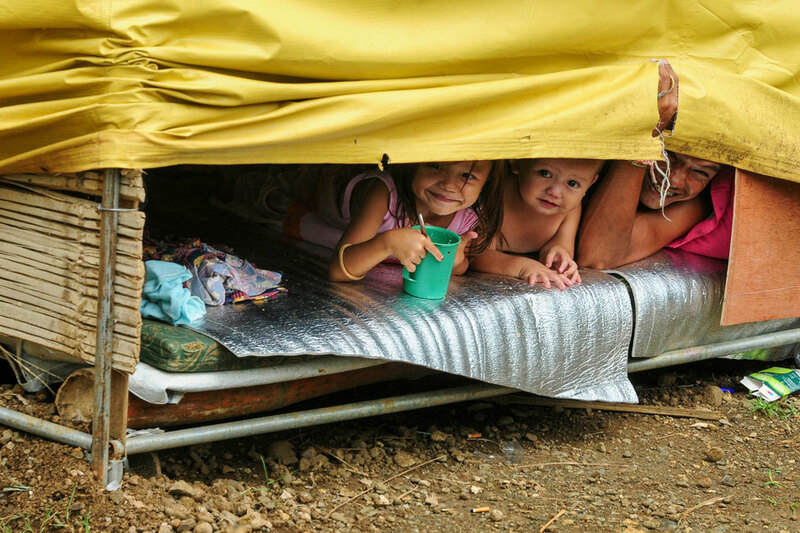 “We Filipinos are known as a happy, resilient people. We even manage to smile amid difficulties. It is therefore not surprising that we rank high in the global happiness index,” Presidential Spokesperson Harry Roque Jr. said in a statement. Meanwhile, the Philippines ranked 5th in the economic optimism index, getting a net score of +32. The country with the highest economic optimism is Nigeria (+59) while the least optimistic is Italy (-50). Based on the survey, 42 percent of Filipinos said 2018 will be a year of economic prosperity, while 10 percent said they will face economic difficulties. Forty-six percent said the economic situation will remain the same for the Philippines. “Our economy is one of the fastest growing in the region. The local stock market ended the last trading day of 2017 in an all time-high. Board of Investments-approved investments are record-breaking. The government decisively liberated Marawi,” he added. The Philippines also landed 7th among the most optimistic nations in the world, getting a net score of +40 and tying with Kosovo. Italy was the most pessimistic country in 2017, with a net sore of -41. The survey said 44 percent of Filipinos said 2018 will be a better year than 2017, while only 4 percent said it will be worse. Forty-eight percent said it will be the same. Gallup International said a total of 53,769 persons were interviewed globally. "In each country a representative sample of around 1000 men and women was interviewed either face to face (23 countries; n=24235), via telephone (13 countries; n=11656) or online (19 countries; n=17878). The field work was conducted during October 2017 - December 2017," it said. Margin of error for the survey is between +/-3 to 5%.